The Temple Law Offices, LLC specializes in asset recovery, post judgment litigation and judgment enforcement and business litigation. Dana A. Temple established The Temple Law Offices, LLC in l994, and has earned a reputation for consistent, effective and successful representation of clients. The Temple Law Offices, LLC, incorporates modern methods, techniques and perspective to recover assets and satisfy judgments. DANA TEMPLE founded The Temple Law Offices, LLC, in 1994, and has built on her experience in maximizing asset recovery on behalf of clients. 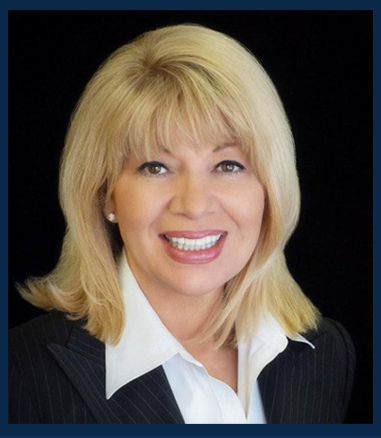 She is an AV rated attorney and her practice focuses primarily on post judgment asset recovery. In 1989, she was the Judicial Clerk to Chief Judge Alan L. Sternberg of the Colorado Court of Appeals. In 1987 she interned with the Colorado Attorney General in the Tort Litigation Division. That same year she graduated the University of Denver College of Law, and is a member of Phi Beta Kappa. She is also a member of the Denver, Colorado and American Bar Associations, a member of the 2nd Judicial District Judicial Performance Commission and is currently the Vice President of the Colorado Creditor Bar Association. The Temple Law Offices, LLC specializes in comprehensive, sophisticated asset recovery and judgment enforcement. A determined judgment debtor may evade satisfaction of a judgment for years unless proper judgment enforcement tools are utilized. Winning a lawsuit is typically only half the battle. It can be frustrating to win your case but then find yourself confronted with a judgment debtor that will not pay. However, the judgment creditor has many weapons in its arsenal if used properly. The Temple Law Offices, LLC's focus is dealing with just such a situation, moving to recover the client's assets and satisfy the judgment. Dana Temple, managing member of The Temple Law Offices, LLC, has more than 20 years experience aggressively representing clients who are legally entitled to be paid. The Temple Law Offices, LLC, represents clients using a variety of strategies often with the assistance of financial forensic investigators. The staff at The Temple Law Offices, LLC, takes pride in their understanding and knowledge of the client's legal matters. Our goal is to develop long-term client relationships, based on strong communication and solid results. We strive to provide high quality legal services to our clients. We offer experienced solutions to the broad range of legal needs of our clients. Our clientele ranges from individuals to large and small businesses. 2019 The Temple Law Offices, LLC. All Rights Reserved. Site Design: Theory Factory. This web site is designed as general information only and should not be construed as legal advice or formation of a lawyer/client relationship.